If you qualify, we provide you with free tax preparation assistance that can help reduce your tax burden and get back money that can help you pay off debt and build savings. 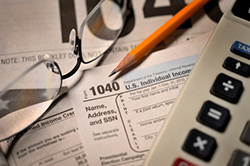 We provide free tax assistance if you’re income eligible and meet a few other requirements. For instance, if you earned less than $55,000 in 2018, you may qualify. Last tax season, ABCD completed a total of 5,352 returns which resulted in a total of $10M in federal and state refunds. 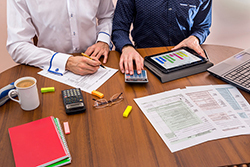 As a leading partner of the Volunteer Income Tax Assistance (VITA) program and the City of Boston’s Tax Help Coalition, ABCD provides low and medium income Boston area residents with free electronic Federal and Massachusetts state tax preparation. Our VITA volunteers are IRS-certified annually and are trained to assist you in finding all the tax credits you deserve—including those you may not have known you were even eligible for like the Earned Income Tax Credit (EITC). We also provide these services to people with disabilities and limited English speaking taxpayers who need assistance in preparing their own tax returns. In fact, services are available in many languages. In addition to VITA, the Tax Counseling for the Elderly (TCE) program offers free tax help for all taxpayers, particularly those who are 60 years of age and older, specializing in questions about pensions and retirement-related issues unique to seniors. That includes the Massachusetts Senior Circuit Breaker tax credit, which allows taxpayers age 65 or older who own or rent residential property in Massachusetts a credit relating to the amount of real estate taxes paid on the property. We also encourage you to ask about the Financial Check Up, which was developed by our partner, the Boston Tax Help Coalition. If you’re a Boston resident, this one-on-one financial assessment offers the opportunity to review your credit report with a trained financial guide and learn how to improve that credit over time. ABCD offers this service at five locations: our central offices at 178 Tremont Street in Boston; the ABCD Roxbury/North Dorchester Neighborhood Opportunity Center, the ABCD Dorchester Neighborhood Service Center, the ABCD Mattapan Family Service Center and the ABCD Parker/Hill Fenway Neighborhood Service Center. Our free tax preparation program is available at several ABCD Neighborhood locations and partner sites in Boston and the Mystic Valley cities of Malden, Medford, and Everett. * Tax services available by appointment only. Please call your local ABCD site to schedule a consultation. **Taxpayers who have received or expect to receive health insurance credits need to bring proof of ALL household income. Without all documents, we cannot complete your tax returns. TO BECOME A VITA VOLUNTEER TAX PREPARER, contact ABCD’s Volunteer Coordinator Madeline Eleazar at 617.348.6591 or email us at volunteer@bostonabcd.org. TO MAKE AN APPOINTMENT TO SEE IF YOU QUALIFY FOR FREE TAX PREPARATION, contact your nearest ABCD Neighborhood Center. Contact your nearest ABCD neighborhood location. To schedule an appointment, call 781-321-2501.